Without going into TOO much detail of how I know this... 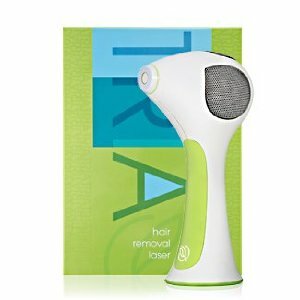 I have personally observed that the TRIA Laser Home Removal System does work after observing its use and its effects over a 6 month period of time. And before anybody asks... no... I was not paid to write this nor did I get a free one to try. Rather, someone I am close to bought it off Amazon.com and I was a skeptic on-looker. In any case, the caveat being that I know it works (admittedly anecdotal) as long as the hair is dark (ideally black or brown) on very light colored skin (ideally white). The way laser hair removal works is that the laser beam is selectively absorbed by the hair follicle causing its death and destruction while preserving other skin structures. As such, the hair follicle needs to be as "different" a color to the skin around it in order for the laser to work. Otherwise, you end up burning the skin as well as the follicle. Depending on the laser used, different colored hair can be targeted on different colored skin. Because of this, the same laser can NOT be used for everybody. In any case... back to the TRIA . This laser system ideally works best on dark colored hair on light colored skin. The greater the difference, the better it works; the best being black hair on white skin. In fact, the TRIA can't be used at all if you don't have the right hair/skin color combination (TRIA requires a skin check every time before use... unless you "pass," the device will not work). There are only a few real differences between this laser system and that used in medical offices. The TRIA's head is about 1/4 inch in size. The medical-grade laser head can be one inch or larger in size. What that means practically is that if you are using the TRIA for your leg, it'll take a long time and a lot of zaps due to the large surface area. Also, the TRIA can only be used for about 15 minutes on the highest power before it shuts off for 2 reasons: It "overheats" and needs to cool down or runs out of battery and needs to be recharged. On that last point, you can only use it on battery power (which I suspect is due to safety reasons). After letting it cool/recharge overnight, it is ready to use again by the next day. Medical-grade lasers do not have these limitations. Finally, for those technically inclined, the TRIA uses a pulsed diode laser (same as a medical grade laser) with five intensity settings. The highest fluence available is 22 with a wavelength of 810nm, which is lower than what is available from a laser used in the clinic. Regardless of medical-grade laser hair removal or TRIA, it does require repetitive sessions as the laser only kills follicles that are in the growth phase. Unfortunately, hair are in different phases at any given moment (there are 3 phases) and as such, it may take numerous sessions spaced 1-2 weeks apart over a few months before all hair follicles have entered into the growth phase and thus be able to be amenable to death by laser. And unlike brain cells... hair follicles CAN come back from the dead and start producing hair again. Hard to say when or why this happens, but is likely due to hormonal factors. You can buy it on Amazon.com here . I've been using the tria for a month now, and seen very little in the way of restults, i will keep persisting, but i should point out that i am using it on the 5th setting (the highest) and you should also be aware that with very dark hair such as mine, it is much more painful that and of the adverts make out.... i would go as far as to say that if is worse that waxing!